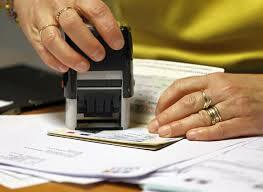 E-visa will be valid for 30 days and a tourist can avail the facility twice a year. In a move which will give a major boost to the tourism sector, the Government on Thursday launched the much-awaited electronic visa facility for visitors from 43 countries, including US, Germany and Israel. "We want to promote tourism in the country in a big way. “The contribution of tourism in the GDP is approximately 7 per cent and we want to double it up," Home Minister Rajnath Singh said here after launching the e-visa facility in New Delhi. Now, a visitor from these countries will just have to apply for an e-visa on the designated website and pay the fee online to get an electronic travel authorisation within 72 hours. Russia, Ukraine, Brazil, UAE, Jordan, Kenya, Fiji, Finland, Australia, South Korea, Singapore, Mauritius, Mexico, Norway, Oman and Philippines are among the countries which have got the e-visa facility in the first phase. "Currently we have included 43 countries in the first phase. “Barring those who are 'high-risk' countries, we will extend this facility to almost every country in the world phase-wise," Singh said. He said earlier the visa-on-arrival facility was available for a few countries. "But this manual system was causing delay so now we have introduced the IT-based system for faster result," he said. Congratulating all those involved in the launching of e-visa system, Tourism Minister Mahesh Sharma said, "This is a historic day for tourism sector. The facility has opened the country to a vast world." Raising the issue of safety of tourists, Sharma asked the Home Minister to provide fool-proof security to them. In response to the Tourism Minister's concern, Singh assured safety and security for all tourists particularly foreigners who come to India. With the launch, the e-visa facility has become operational at nine international airports -- Delhi, Mumbai, Chennai, Kolkata, Hyderabad, Bengaluru, Kochi, Thiruvananthapuram and Goa. Now, 'achche din' for SAARC too!